Le Centre de Formation Chrétienne church. 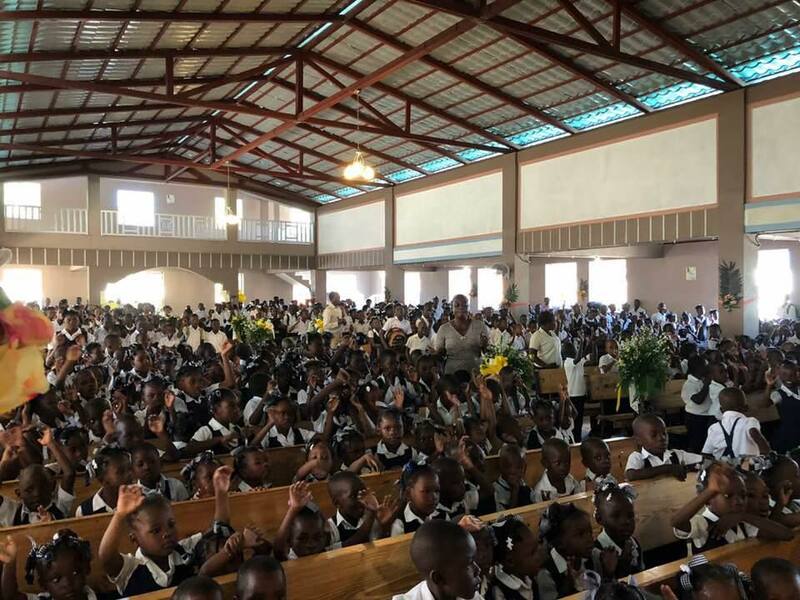 This week marked the twenty-fifth anniversary of our mother church in Petite Anse. 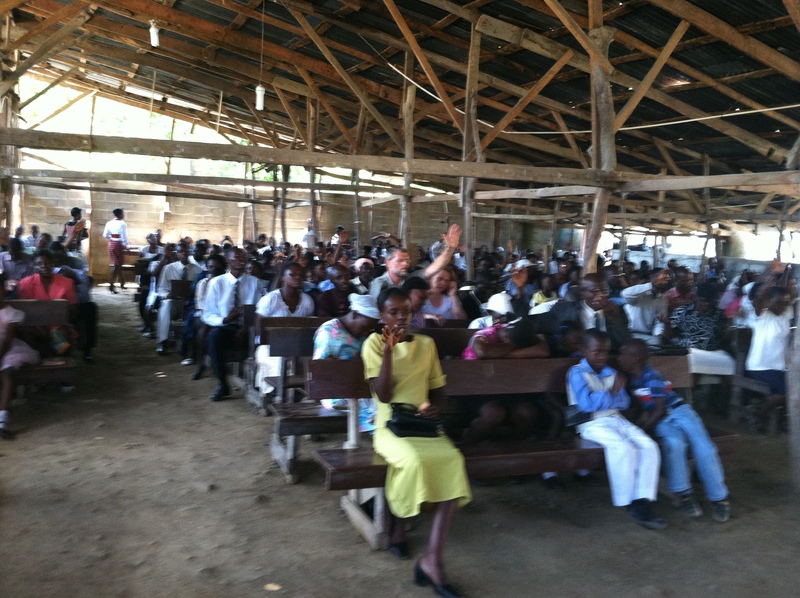 Centre de Formation Chrétienne (Christian Training Center) is twenty-five years young. Though humble in appearance, it marks the site of countless prayer vigils, miracles, and memories. Happy Birthday, CFC! Many, many thanks to the wonderful sister whose heart was touched to send a donation to help our friend, Manno, with his business. (See our last post.) Thank you to another friend who sent an offering to our traveling evangelist, Ronald. Our security guard, Toussaint, has been in Port-au-Prince several days with his wife. Her foot became infected from the point of a rusty earring and began to swell. Unfortunately, her large toe and the one next to it on her right foot eventually had to be removed. However, she is out of her coma and appears to be doing quite well. We had asked for prayers for Madame Toussaint a while back due to cysts in her breasts. We are happy to relate that the doctor was able to remove the cysts without any further surgery. She has had quite a challenging year, but is doing better now. In the midst of it all, Prit was able to lead Toussaint to the Lord before he took off for Port-au-Prince! Working on the front porch. Our pump of twenty-one years burned out. Fortunately, Agape Flights was able to fly us in one fairly quickly. After over a week of having no running water and hauling it in by the bucketfuls, we are delighted to say that things are now back to normal. We are still waiting for news that our Permis de Séjour has arrived. Since we’re in the middle of Mardi Gras celebrations, government offices are closed and won’t open back up until Thursday. To say one needs patience to live in Haiti is an understatement. We are in the process of closing in our front porch so we can have a much-needed den. All we lack now are the windows, a door, and a great paint job. This will provide extra space, especially when we have visitors. The dining room table and chairs will be moved inside and we will finally be free from the flies! We appreciate your prayers concerning all the above for we know that prayer gives wings to our efforts. This entry was posted in Church by Rehoboth Ministries. Bookmark the permalink.